One school that commands respect as far as Nigeria is concerned is the University of Nigeria, a school that has survived through the ages and still stands tall among the best intuitions providing higher education in Nigeria. This article talks about the school, the courses offered and admission requirements. For prospective students this article will come in handy. The University of Nigeria is a federal University located in Nsukka, Enugu state Nigeria. On 7th October 1960 five years after the school was created, the school opened for schooling activities. The university was temporarily named the University of Biafra during the civil war era but was later renamed the University of Nigeria immediately after the war. The university remains the first full-fledged indigenous and autonomous university in Nigeria. The school is modelled after the American university system. There are at least three means of getting admitted into the University of Nigeria, admission could be either through UTME (jamb), direct entry or the post graduate school. 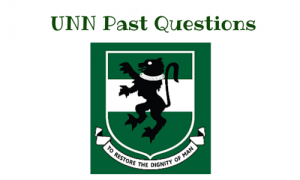 For this article I would focus on the UTME admission process in UNN. The university of Nigeria Nsukka usually conducts her post-utme examination exercise for candidates who score above the jamb cut off mark for their course of choice between August and September of every year. Candidates are divided into various batches depending on course and faculty. All candidates who are able to score above the stipulated cut-off marks in jamb and are eligible for the post-utme exams are advised to keep in touch with current information being updated in the universities website to know the batch they fall into, date and time of their examination and what they are to come with to the examination venue. Assessment is carried out via the computer based test (CBT) method. The programme lasts for a minimum of one academic session (2 semesters). Application form costs N15,000. More details can be found on the university’s website at www.unn.edu.ng.